There are the churches you do NOT want to enter if you care about digital rights, or even just privacy. 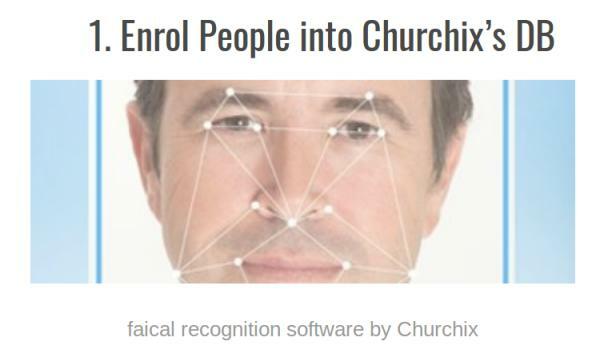 It so appears that a company called Churchix was founded specifically to let churches track, via facial recognition software, regular attendance or see who’s missing. Among other things, the software would help churches to know who may need an “attendance reminder”, or be more likely to donate. But face recognition may also be used to blacklist disruptive church visitors. According to that article, at least in 2015 “most churches using Churchix are doing it without the knowledge of their members”. This is not some word processor, that can only do “internal”, and relatively limited damage. What “omniscient pastor” really means is that if a pastor can always, automatically recognize whoever enters the church building, so can everybody else who can hack the computers of that church. Even if tracking like this were right, it should be done with infrastructures and competences way beyond those of 99.99% of churches and “church officials” worldwide. If you go to church, ask the pastor if they use Churchix. If they do, go to another church right away, and make sure they know why. « More about "why no new AND successful FOSS projects..."